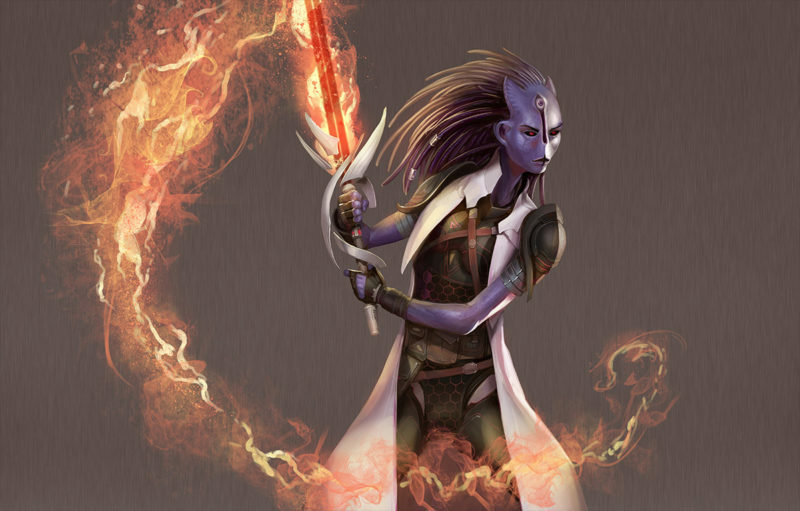 A Fury is one of our player classes in Starmourn. 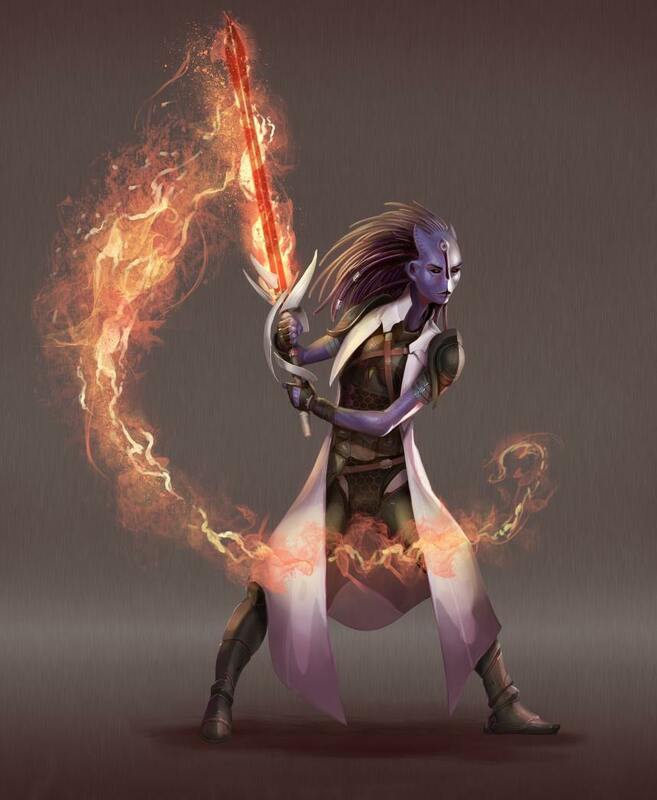 They embody the explosive nature of star kith itself, and is probably the hardest class to effectively play. Combining star kith use with rage-fueled acrobatics and flame-wreathed kithblades, though, means a Fury really lives up to its name. Battleflow: This skill combines kithblade use with stance-based attacks that flow into each other via transitions. So for instance, say you’re entering combat. You might choose to launch an upward slashing attack. As the attack finishes, there’s a short window where you’re transitioning to a new stance, determined by the attack you used, during which you can use a Rage ability (see below). So in this case, an upward slash might land you in Ember stance, after which you’d be able to use a Rage ability, and have a new set of potential attacks to launch. Maybe from Ember stance you then choose to cut at your opponent’s legs, which would lead you into Flare stance. The key point here is that the order of things goes Battleflow attack -> Rage ability -> new stance. You rarely stay in the same stance from attack to attack, and you don’t manually-trigger your stance changes. The attack you use and the stance you were previously in determines what stance you flow to. Rage: Rage is both the name of the skill and the class-specific resource Furies have. You generate rage on successful kithblade hits, and you can then use Rage abilities in the middle of transitions to new stances in Battleflow. Many Rage abilities can also only be used in specific stance transitions too, making the way in which you decide to flow through the stances in Battleflow even more important. Rage abilities tend to allow you to augment your normal physical abilities, and allows you to do things like knock a prop into an adjacent room, topple your target, hit them so hard they take internal damage, and, if you have earned enough rage, you can go into an overpowered mode that gives you access to some powerful abilities that’ll work from any stance. Fulmination: This is a star kith-based skill that does everything from altering the effects your kithblade can deliver to inducing hallucinations via giving someone a bad fever to creating mirages to blasting everyone in the room with flame. Unlike Battleflow and Rage, which are fairly intertwined, Fulmination sits apart and abilities can be when you choose.